Deputy Prime Minister and Minister of Finance Peter Turnquest is currently attending the 2018 Annual Meetings of the International Monetary Fund (IMF) and the World Bank Group in Bali, Indonesia. 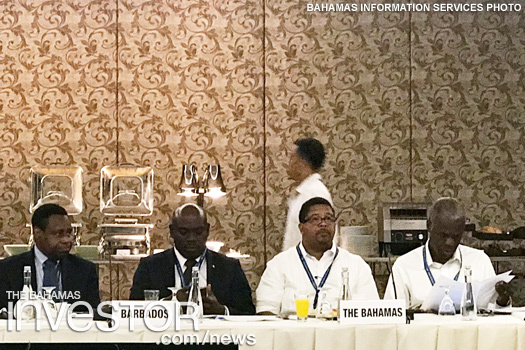 As part of the visit, last week he attended the Caribbean Caucus Round Table Discussion. 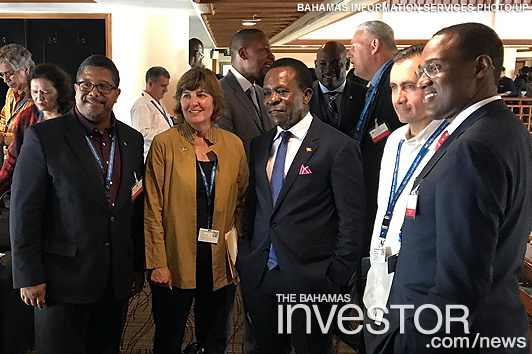 The Caribbean Round Table talks included Nancy Horsman, IMF executive director, and Christine Hogan, World Bank executive director for Canada, Ireland and the Caribbean. Discussions centred around climate change, building infrastructural resilience and de-risking. DPM Turnquest stressed the risk to the economies of small island states from the loss of corresponding bank relationships and the risk to small international financial centres imposed by global standard setters, without regard to individual country circumstances or the evenness in which such standards are applied across developed and undeveloped sovereign states. The Pointe development celebrated another milestone on its journey to completion yesterday with a "topping off" ceremony for One Particular Harbour and the official unveiling of Seven, The Pointe’s entertainment venue.